The Journal of the American College of Cardiology (JACC) has retracted a recently published paper that questioned the effectiveness of a treatment for irregular heartbeat, against the last author’s wishes. Andrea Natale, the study’s last and corresponding author and Executive Medical Director of Texas Cardiac Arrhythmia at Austin, took to social media today to express his frustration in the retraction of the July paper, which showed electrical rotors were less effective at fixing irregular heartbeat than other treatments. On Twitter, Natale implied industry played a role in its demise. However, according to the retraction notice, the paper was felled by problems with randomization; Natale has admitted that some patients were removed from the analysis after one center included them incorrectly. A doctor in Manchester, UK has received a year’s suspension by the Medical Practitioners Tribunal Service. Gemina Doolub admitted that she fabricated research data and submitted papers without the knowledge of her co-authors, including faking an email address for a co-author, a news story in the BMJ reports. The research in question was part of two retractions that Doolub received in 2013, one of which we covered at the time. Doolub’s research examined ways to treat and avoid microvascular obstruction — that is, blocked arteries. Doolub did the work while at Oxford. 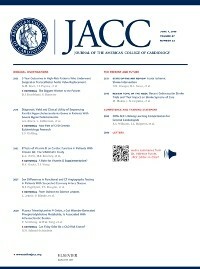 “Intracoronary Adenosine versus Intravenous Adenosine during Primary PCI for ST-Elevation Myocardial Infarction: Which One Offers Better Outcomes in terms of Microvascular Obstruction?” was published in International Scholarly Research Notices Cardiology and has not yet been cited, according to Thomson Reuters Web of Science. A 2014 letter in the Journal of the American College of Cardiology has been retracted because editors aren’t sure who wrote it. “Can Grayscale IVUS Detect Necrotic Core-Rich Plaque?”, a letter on the potential of intravascular ultrasound, was submitted under the name of a researcher at the University of Copenhagen, Erling Falk. The paper was sent with a Gmail account (a technique used by some academics to conduct fake peer reviews), and editors communicated with the author through the acceptance process. Shortly after the letter was published, Erling Falk of Aarhus University contacted the journal and asked who wrote the letter. They discovered that nobody by that name worked at the University of Copenhagen and emails to the author’s Gmail address went unanswered. So the journal issued a retraction. Coding errors in a database maintained by Pfizer have led authors to retract two heart biomarker papers in the Journal of the American College of Cardiology. The Journal of the American College of Cardiology, or JACC, has issued expressions of concern for three papers by Don Poldermans, the Dutch cardiologist who was fired earlier this year amid allegations of misconduct. Cardiobrief’s Larry Husten had the story first.